Developers, hobbyists and enthusiasts may be interested to know that a new Raspberry Pi clone in the form of the aptly named Rock Pi mini PC will soon be launching priced from $39. As the name suggests the Raspberry Pi inspired mini PC is equipped with a Rockchip RK3399, USB 3.0, M.2, HDMI 2.0, and native GbE, plus optional WiFi, BT, and PoE. The Rock Pi Model A will be available to purchase from $39 with 1 GB of RAM or $49 with 2 GB around and if your budget will stretch $65 with 4 GB of RAM. The Model B, which adds PoE and a WiFi-ac/Bluetooth 5.0 wireless module will sell for $49 (1GB), $59 (2GB) or $75 (4GB). The Rock Pi has a microSD slot and an empty eMMC socket in addition to the M.2. 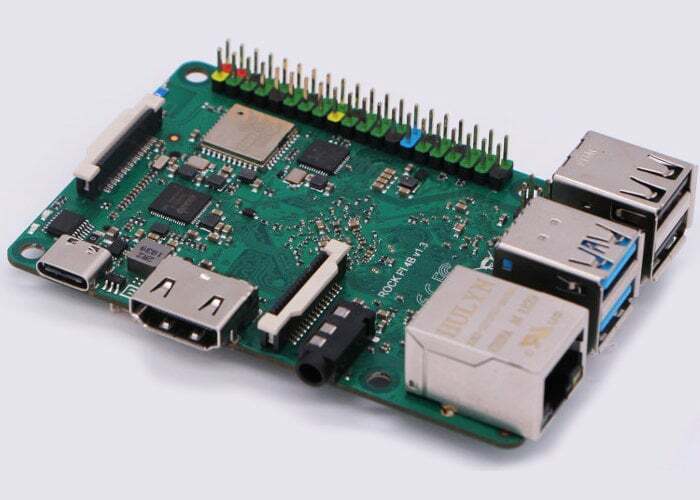 For more details on the new Raspberry Pi clone jump over to the Linux Gizmos website or the official Rock Pi product page by following the links below.